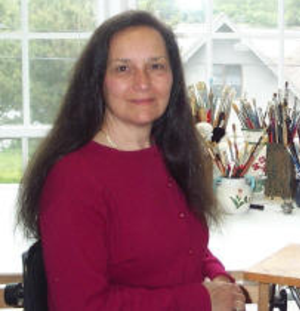 Christie is past president of the Cape Cod Art Association and co-founder of “21 in Truro” – a group of professional woman artists. Her work is in private and corporate collections throughout the United States, Canada, Ireland, England, and Australia. Versatile in both oil and watercolor, Christie has taught studio as well as plein-air workshops at Cape Cod Community College, The Cahoon Museum of American Art, The Falmouth Artists Guild, The Cape Cod Art Association, The Creative Arts Center in Chatham, and The Cape Cod Guild of Fine Art.